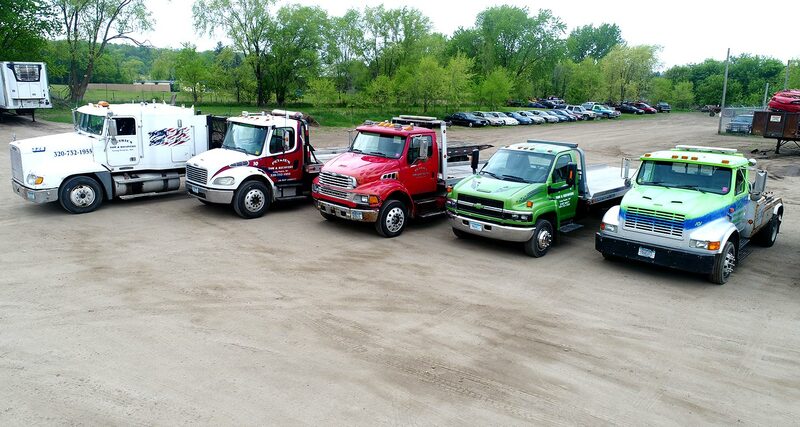 Petrie’s Towing is a local, family-owned and operated business serving Long Prairie and its surrounding areas. We are committed to providing our clients with exceptional towing services for reasonable prices and are standing by 24/7 to help people on the road when they need it most. We possess more than two decades worth of experience in the towing service industry, so you can count on our work. Please call us the next time you need a tow, and one of our professional and reliable drivers will be there right away to get you where you need to go! Whether your car has broken down and left you stranded, you are moving and need a reliable partner in the process, or otherwise have an inoperable vehicle that you need relocated, we have the truck and the know-how to take care of everything. 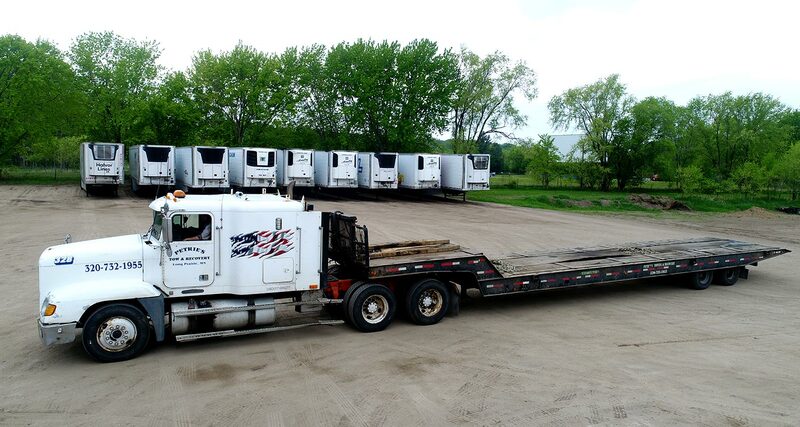 We offer heavy-duty and light-duty towing, as well as flatbed towing, so we can accommodate any vehicle you need moved. Contact Petrie’s Towing today! The help we offer on the road extends beyond what we are able to do with our tow trucks. Our drivers are also trained to perform the work your car needs “on the spot” to get you up and running again. If you have locked your keys in your car, we can open your door quickly and without damaging it. Whether you need a jump-start, tire change, or you have simply run out of fuel, we will meet you and take care of everything as fast as possible. Because we operate around the clock, every day, we’re the ones to depend upon when your vehicle needs help. Our Long Prairie auto service center has the equipment and experienced mechanics you need no matter what might be wrong with your vehicle. 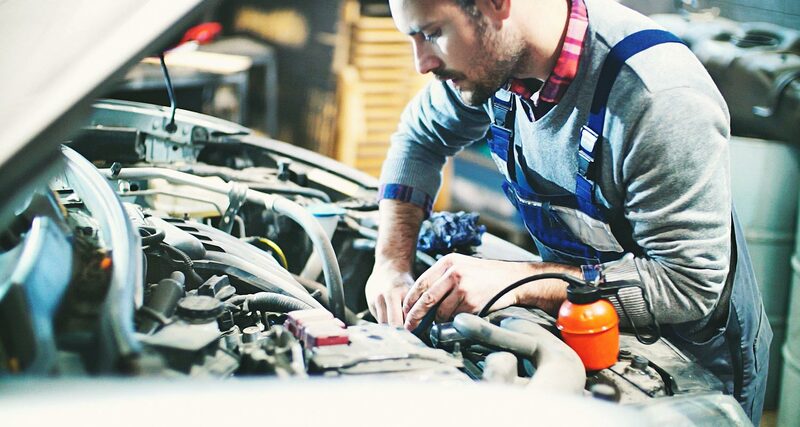 Whether you would like a full inspection, diagnostic report, routine maintenance or a repair to address a specific issue, or tires, brakes, alignment, or more, call us today to schedule an appointment for your car or truck. Your vehicle deserves no less than the very best service our area has to offer. © 2018 Petrie's Towing. Website by Arvig® Media.